You are invited! This year we have several great speakers, an industry panel and a community panel! And many live streams setup to broadcast the event. Be sure to visit he IWA Airsoft Meetup 2019! Our schedule is final and we are good to go. See you next week at IWA! BattleArena is the biggest international airsoft tournament which will take place at March 2nd and 3rd 2019 in Finland. The US will be represented by the Cut Throut Contracting Team from NJ. Athletes from Russia, Finland, USA, Belarus, France, UK, Germany, Poland, Portugal, Ukraine, Estonia, Latvia, the Netherlands, Belgium, Kazakhstan, Israel and China will fight for the title of the best team in the world. During two days of the BattleArena competition, thousands of viewers will see the event using YouTube and Facebook live broadcasts. Cut Throat Contracting Team – became one of victory candidates due to their victory at the national qualification games, which took place in Atlanta at January 2019. This is season V of Battle Arena Tournament, and the second time in the row it will happen in Finland at the “ASA Airsoft Arena”, Europe’s largest premium indoor training facility. The rules of this competition are the “Bank Heist” scenario, teams will operate as the SWAT and Robbers by turns. The team which “steal” more golden bars will be a winner. The bank vault and the golden bars replicas were built especially for this scenario. The modeling of the real streets and urban environment gives a special touch to the game process, police vehicles and robbers cars finalizing the deep immersion. Despite the fact that players are using weapons which looks like the real ones, it is just real-looking pneumatic replicas. It shoots small 6mm plastic pellets with maximum of 400FPS velocity. All the participants wearing the eye and head protection for safety reasons. Player leaving the round as “eliminated” once being hit with the pellet in any part of his body. Special pyrotechnic grenades are also allowed in the competition. Referees are controlling the game process every moment. But the motto of the project is the “Fair Play’’. BattleArena is the unique tournament which will bring you endless emotions for whole two days of the broadcast. This is a first person format which provide you a filling of the full dipping into the process! Many static points of view along with mobile operator units and action cameras attached to players, along with multiple languages commentators and professional information layers, will grab your attention from the first moments of this action! It isn’t another tactical competition – BattleArena is a new format of the pure sports, and it is run under the slogan we already know – “Better Play!”. Cheer for the Cut Throut Contracting Team – one of 16 BattleArena world champion candidates! Last weekend in sept annually. Fri-Sun. 3 & 4 – Mil.Sim. SSMG has made the decision, just too really secure marine operations, with equal terms for everyone, that the area is to be split in to three separate areas connected to each other with water in between. The rules are simple; the only way you can make it in to enemy territory is over water. 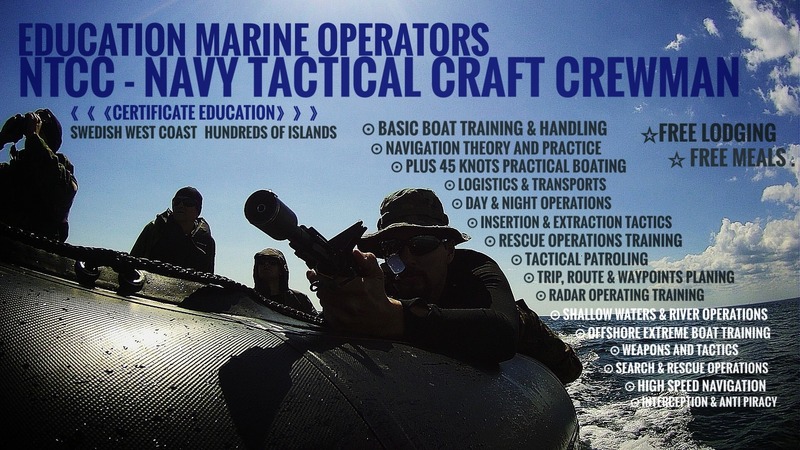 The whole point is not to paddle around on open water just so we can call it marine operations, but rather that units have to engage in tactical thinking when it comes to actually providing safe operations on water and applying tactical thinking on both protecting own regions and also taking the fight to the enemy. The area might seem very large with kilometers of water, but not to forget that these vast regions of water are only highways and easily covered with one or two men patrolling them, observing from an elevated point or a strategic outpost. Another good thing is that radios go a long way on open water which also makes the area smaller. We are excited to let you all know that we’ll be attending the Northern Shooting Show near Harrogate, Yorkshire next weekend, the 12th-13th May. 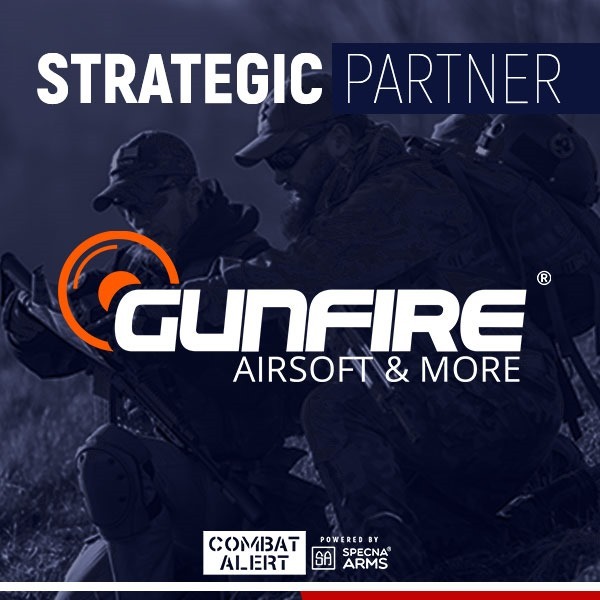 We’ll have a great selection of our items to get your hands on, including 5.11 Tactical, Umarex (Heckler & Koch, Glock, Berreta, IWI, Walther), Krytac AEG’s, Magpul/PTS, Enola Gaye and much more. We’ll have some great offers on our stand only for the weekend, such as a discount on 5.11 Tactical items and a great value sniper rifle package, as well as giveaways with selected orders and if you’re really nice to us (or bring cake). It’s a great chance to speak with one of the best airsoft tech’s in the country, fresh back in the country from California after getting the latest training from Krytac (did we mention to bring cake..?). We hope to see you there attending this great and versatile show!!! 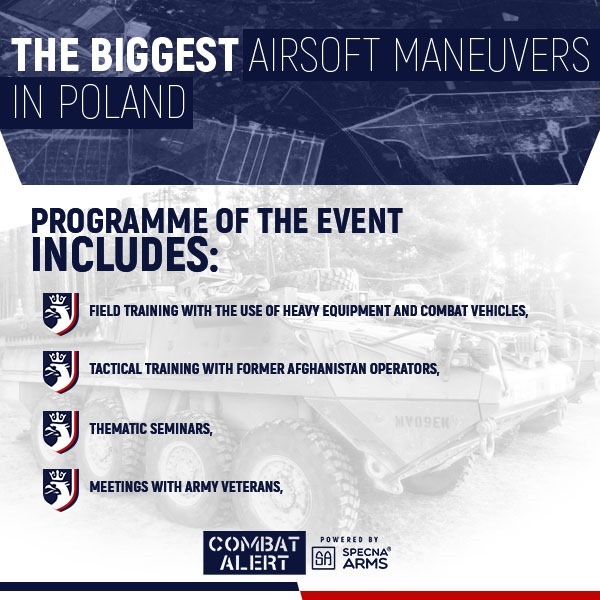 Free admission to the biggest airsoft maneuvers in Poland! Sign up! 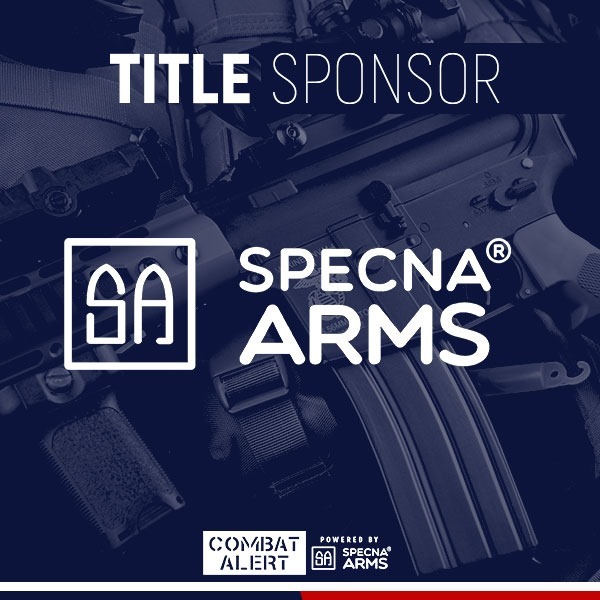 Specna Arms has become the Title Sponsor of the Combat Alert, which is the largest combat and airsoft training in Poland. 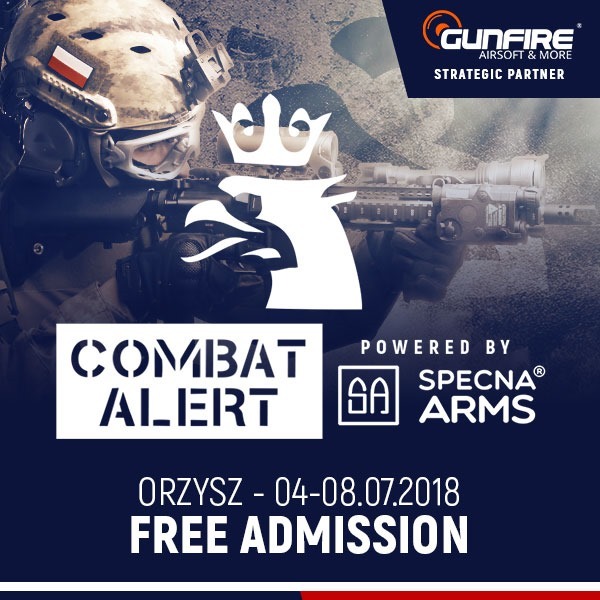 This year’s summer edition – COMBAT ALERT 10 BY SPECNA ARMS, will take place on 04-08.07 in Orzysz. Open airsoft maneuvers in Orzysz is organized on the territory of the former military training ground. It’s the unique event with long and rich tradition and constantly increasing number of participants. The 9th edition gathered almost 1000 airsoft players. Are you looking for an idea for the weekend? Discover the secrets of the former top-secret Luftwaffe research and development center located in the village Szeroki Bór. Visit the amazing Masurian Lakeland and take part in the historical trip. Choose your side of the conflict page and get ready to fight! 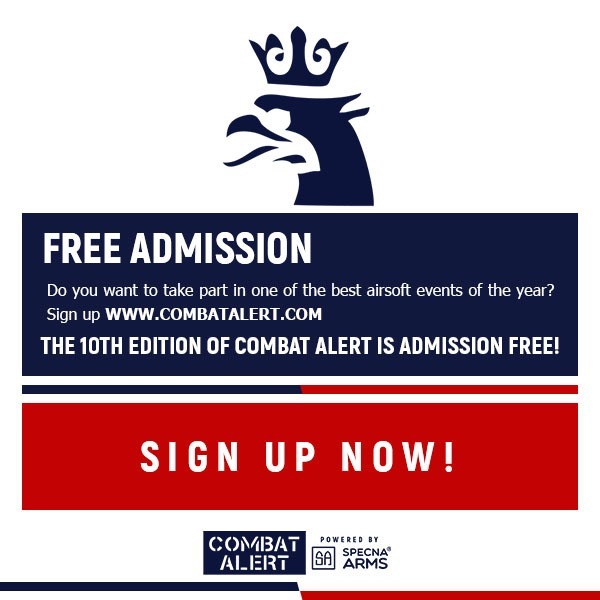 If you have already signed up for the open, summer COMBAT ALERT 10 BY SPECNA ARMS, we encourage you to participate in the preparatory seminars. The roar of engines, the sound of cannonade and the smoke rising from the battlefield. Take part in the exciting and unique tank battle reenactment in Orzysz. It is that time of year again for the Dirty South of Airsoft to have the biggest party with everybody on scene, the SS Airsoft 8 Year Party! This is the biggest Airsoft event on the East Coast every year and you have to check it out! The Evolution Team will be glad to meet Bloggers and Youtubers at the IWA2018 and show them the most exciting products of the year. See you at Hall 7, Stand 511. During the show we are unveiling Tons of new products, bring your camera with you and be the first sharing the news! Seventh edition about to start in 7 days! The 2018 edition of the IWA Airsoft Meetup is about to start in just 6 days. We are really looking forward to it! Not yet registered, please do so in time! We made a final schedule, check our website for details. Speakers include Airsoft Innovations, Redwolf Airsoft, Gunfire, DM Diffusion, G&G Armamament and Valken Airsoft. All speakers can be found here. For the first time at the Airsoft Meetup there will be a panel discussion on the trends and hot topics in Airsoft. This is a try-out with Kelly Louise Hardwick (Femme Fatale Airsoft), Bill Pryce-Thomas (Airsoft Action), Michael Belousov (Border War), Matt Furey-King (former UKAPU/EAA) and Jonathan Higgs (Airsoftology) will be in this panel. If you have questions to throw at them, shoot! We start on Sunday 11th of March at 14:00 in the Hong Kong room. You’ll find the venue at Level 1, Nürnberg Convention Centre East entrance. Check the 2018 schedule and be on time! Now that it has been confirmed, we are opening the doors to interested speakers. If your company has something very interesting to show us and you might not be able to present everything properly at your display booths during the IWA Outdoor Classics 2018, then the Airsoft Meetup is the best place for you to say what you want to say. You can make presentations without being disturbed by curious trade visitors and all recorded to be put on YouTube via the Popular Airsoft YouTube Channel and other media present. Speakers are given a maximum of 15 minutes to present and answer questions. They should have an audio-visual presentation that will be projected to the wall. The Airsoft Meetup will take place at the Hong Kong Room of the Nuremberg Messe on Sunday 11th of March 2018, from 1300H to 1600H. Interested companies/speakers can immediately contact NLAIRSOFT.COM for the speakers’ line-up. There are some requirements that he will ask from you before getting approved to become a speaker. Topic should be about your company and what the airsoft player will expect from them in 2018. As every year, we have 1 slot available for a special guest! We are less than 1 week away from the Las Vegas Shot Show, that giant gun show, and some airsoft and some gear: P.
That is why I decided this year to try to make the coverage live as much as possible while the technology allows it.We plan certain times per day and we outline it to try to realize them for each brand that will be present. RULE & REALISM UPDATE FOR ALL SSMG MIL.EX. COMBATANTS. Since we have lots of international participants, we will bullhorn this out there. This is no news, but more of a reminder for all you SSMG Mil.Ex. participants. 2018 is the first year all level five players (only) have to use either (T-BBS) tracer pellets or MFG (Muzzel Flash Generator). SSMG level five Mil.Ex. participants are and is the fraction that tries out all the new stuff first. Pyro, tactics, gear, equipment, rules, game areas etc for evaluation. All exclusives and news pass through our most professional players before we bring them to the regulars. These participants put up with the toughest just to bring you the best. …will be assigned our teams nighttime as a requirement with start on Op. Yeti. for all level five players and all SSMG Mil.Ex. events. The reason for this is to put more pressure on tactics for these teams. You will this way be spotted firing your weapon through your muzzel flash, in darkness – like in real life, with real ammo – meaning that this will force our level five players to think twice about their assaults; giving a realistic advantage to you and your opponents, even without nightvision. Not being able to hide camping in darkness will force our Mil.Ex:ers to act more realistically on the battlefield, by being forced to choose assault and tactics more carefully, finnish the fights faster and not being able to stay in the same position for long. Unless you want to be a magnet for enemy fire that is. This is just another step from SSMG to deliver one of the worlds most realistic battlefields there is. It is also a natural step now with new technologies available. So! Night time means the seasonal time for Sun-down/Sun-rise. Search these times in the Internet calender for your event dates. Of course, questions will rise, we will be happy to assist you. Please feel free to contact us by any means. Meanwhile watch this classic video and you will understand what we are talking about.